T his book takes the reader along the road to the founding of Sierra Nevada Brewery. It follows the tale of Ken Grossman, founder of the Sierra Nevada Brewery. Starting from humble origins as a home brewer, he eventually became a home-brew shop owner, and finally became a professional brewer. Ken’s journey took him on a winding path, showing us that a great brewer can come from any background. The book also goes into the birth of the craft beer industry. Sierra Nevada was one of the founding breweries that sparked the craft beer movement. We are also given Ken’s memories of other notable breweries including Anchor and the now closed New Albion Brewery. The book does an excellent job showing the struggle these pioneer brewers went through to build up beer in this country. I enjoyed this book and would definitely recommend it to anyone who enjoys Sierra Nevada and appreciates a bit of history. The book really shines in its overview of the founding of craft beer in this country through the eyes of Ken and his brewery. One definite downside to this book is that it starts to lose focus towards the end. It goes from a cohesive story to Ken discussing various aspects of his brewery and business practices in general. Unfortunately this takes away from the overall appeal of this book. I decided to move to electric for several reasons. Firstly as an apartment brewer my sources of heat are limited, and my stove top burner was not allowing me to get achieve a strong rolling boil. Secondly the heat coming from my burners would quickly raise the temperature of my poorly ventilated kitchen well into the low 100° F. While I love a good sauna, during a long brew session, I would prefer a more comfortable environment. With the electric brew kettle, all of the heat is focused inside the kettle and although some radiates from the pot, the temperature of the kitchen remains mercifully low. 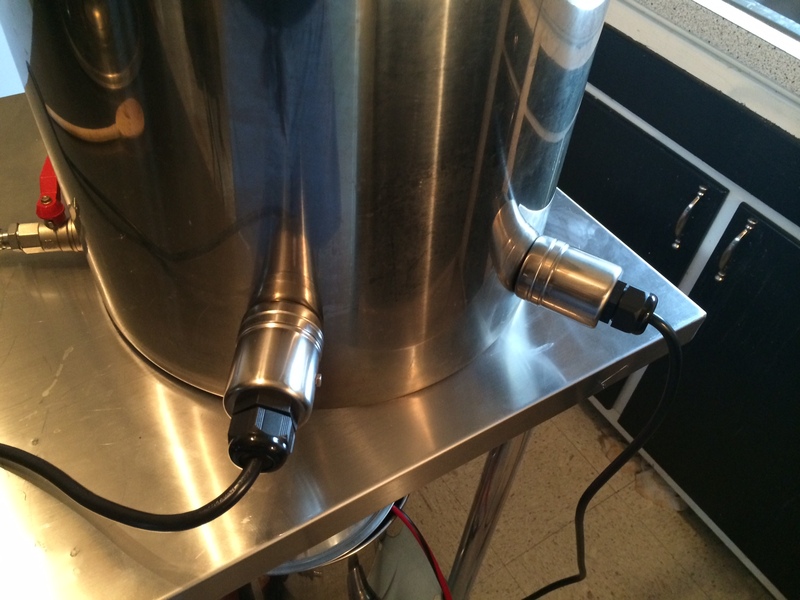 Finally brewing with electric allows much more control over the brewing process. It allows me to set my strike water temp first think in the morning and later in the day, I have my water at the perfect temperature. Additionally having temperature control in an electric brewing set up gives me the option of doing a HERMS system in the future, allowing even more mash precision and options for brewing. Instead of trying to create my own exterior shell for the heat coil, I decided to purchase the pre-made model from Brew Hardware. They have created a great design and a very elegant solution to the electrical container problem. I obtained my heat element from the same location. For my power cord, I altered a Husky 14-3 15 foot Extension Cord. I chose a 14 gauge over a 16 since I wanted a the additional volt capacity that the larger size would offer me. For my HLT, I went with a single 1500 watt element. 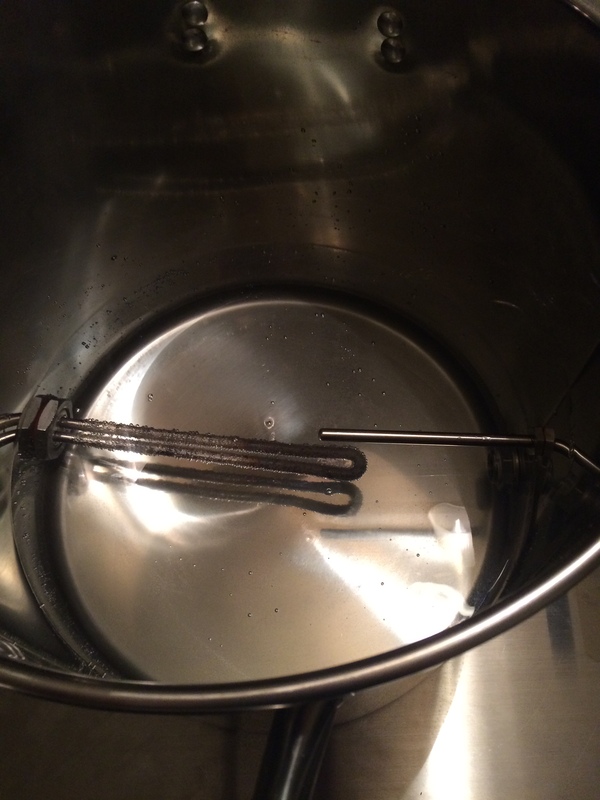 In my initial tests it was able to boil 4 gallons of water as long as the lid was on. Also in the HLT I’ve installed a thermowell to monitor temperatures and regulate the strike and spurge temperatures. For my boil kettle I decided on 2 1500 watt elements. At a total of 3000 watts, this should give me a solid rolling boil. 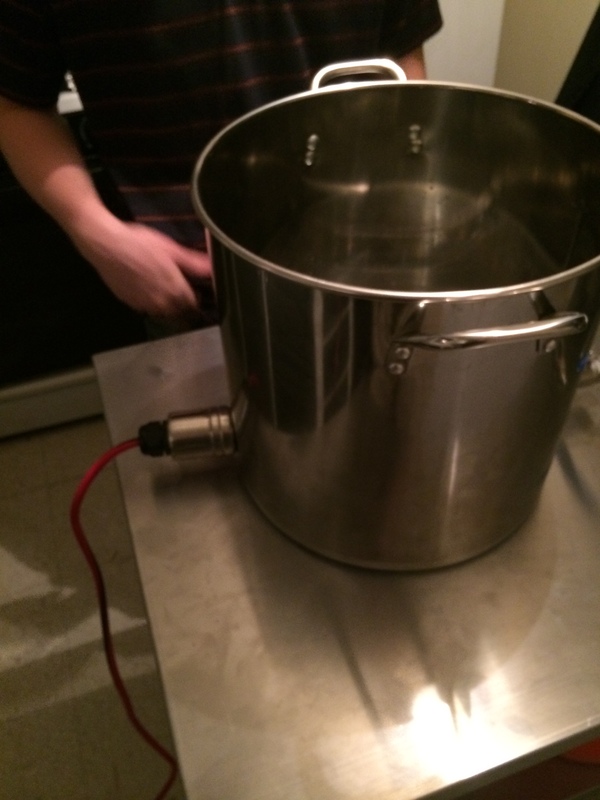 My tests showed that this system could heat up 7 gallons from 160° to 212° in 45 min and sustain a rolling boil. 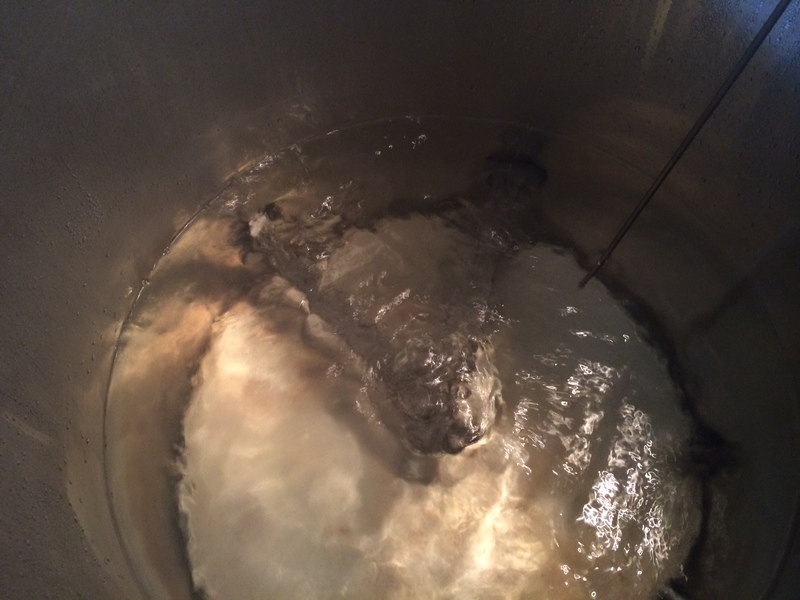 My boil off during a 60 min boil was 1.25 gallons. Overall I am very happy with how this system has come together. It provides me with more control over my brewing process, a much easier brew day, and better beer in the end. P.S. The HLT mentioned in the beginning was not working because I never reset the Ground Fault Interrupter after doing a safety check. Worked amazingly after I figured this out. This is an extraordinary book written from a totally unique perspective. The author takes the reader through a fantastic journey both through time and space, bringing us closer to the beer that we love. The book is divided into different sections, each one a time capsule, profiling both a beer style and a historical period. Not only does the author take us on an adventure, he also becomes entangled in his own tale by brewing a batch of the beer he discusses. Sometimes his experiments work, but more often than not his disasters typify how far modern brewing has taken us. The book goes through 8 different time periods, showing us history from the perspective of cultures as diverse as ancient Egypt to 18th century London. We get a fantastic history lesson on how the beer style was created, and the culture around the time it was brewed. The author interviews modern brewers who embody the principles of these various historical brewers. I thoroughly enjoyed this book from the first page to the last. As a lover of good beer, its always interesting to learn the history of the beers I love to drink. Additionally, as a brewer its fun to learn about brewing from the people who came before me, and current masters in the field. I recommend this book to anyone who loves to both drink and brew beer.